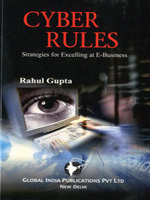 This book has created a way of classifying the different types of strategies for e-business and then describes how these strategies can be used in business.Because todays economy demands that e-business inititatives emphasize profitability and return on investment this book also offers guidance on methods to minimize cost, yet ensure quality. This book investigates empirically the impact of CRM on corporate success in e-commerce at the firm level. Further it anayzes the implementations process of a customer relationship management (CRM) system in online retailing and the challenges of transforming a product-focused business into a customer-centric organization.